We eat a lot of pasta in this house…brown rice and quinoa pasta. 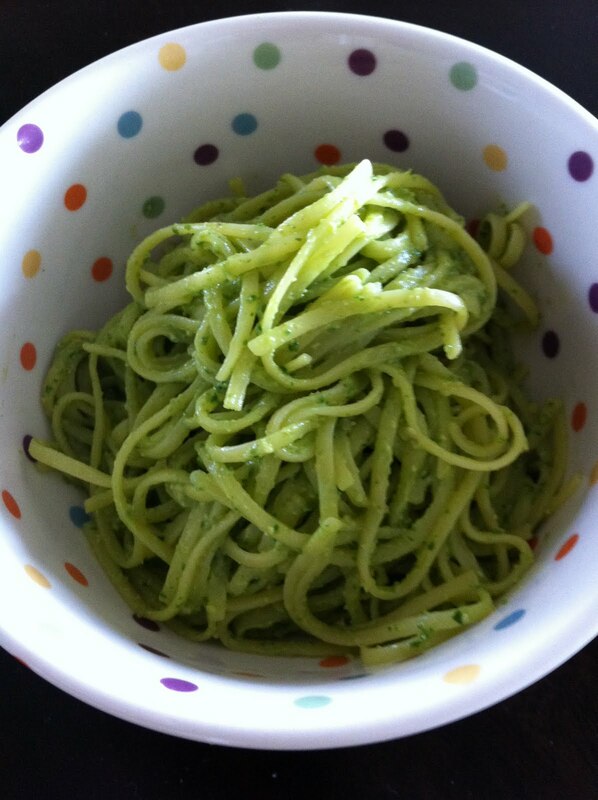 Inspired by Chef Chloe and a chef friend of mine, I combined their recipes and swapped out basil for spinach to make this avocado, spinach, walnut pesto! The avocado makes it creamy. The spinach adds iron. The walnuts add protein and Omega 3s. The quinoa pasta adds more protein. A nutritional home run! Boil the pasta. Toast the walnuts in a skillet on the stove to for a few minutes to bring out the flavor. In the bowl of the food processor, add the spinach, avocado, walnuts, olive oil, lemon juice, garlic powder, and s and p. Process until combined. Taste and adjust seasonings. Toss with hot pasta. An easy, bright, healthy meal. Enjoy!